Sonya Pennel wasn’t always in shape. At her largest, the busy mother of three weighed more than 200 pounds. At the time, she owned two businesses. Between 12-hour workdays and three kids, she put her health and happiness on the back burner. She live for everyone but herself, pushing her wellbeing aside to attend to her employees, children, and family. After being diagnosed with borderline high blood pressure, Pennel knew she needed to make a change and do something for herself. Eating right improved her health and kick-started her weight loss, but she continued to feel irritable and stressed. Something was missing. That something was exercise. Pennel was healthy, but she wasn’t fit. Her sedentary lifestyle continued to take a toll on her mental health. She started by walking the six miles to and from work each day, but was soon going on five-mile runs and signing up for 5Ks. As her fitness improved, so did her emotional health. “I remember walking down the hallway and thinking, ‘I must be 5’6” now.’ I felt like my shoulders were back and my head was high. I felt stronger, better, more confident,” said the 5’2” Pennel. When her daughter sent her a flyer about an exercise class she was taking, Pennel was intrigued. 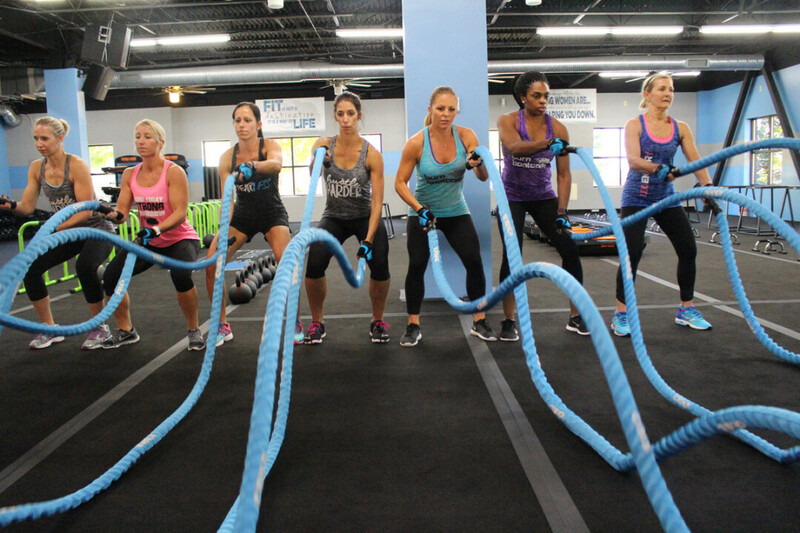 It was called Burn Boot Camp, a fitness franchise geared towards moms and women with hectic schedules. Inspired by her journey to mental and physical fitness, she wanted to help busy moms just like her. When she discovered there were no Burn Boot Camps in the Midwest, she decided open a location in La Crosse. It was a huge success. Pennel was ecstatic about the positive impact Burn made on La Crosse women, and she noticed a need for a similar program in Eau Claire. She opened a Burn next to Target a few months ago. Joining Burn-Eau Claire is like having a personal trainer in a group setting. The 45-minute workouts are exciting and intense. Trainers tailor the workouts individually, focusing on each woman’s experience and ability. Anyone can do it, couch potatoes and marathon runners alike. The boot camp isn’t just an exercise class. The program is well-rounded, emphasizing not only physical fitness, but also good nutrition and emotional well-being. Burn provides nutritional guidance without marketing expensive diet foods like some other weight loss and fitness programs. Their goal is education, not sales. Training includes information about nutrients and portion control. The Burn Boot Camp tagline is “a fit community of moms,” but Burn-EC is a fit community of women, noted Pennel. Though the program is perfect for moms, it seeks to serve women of every age and lifestyle. 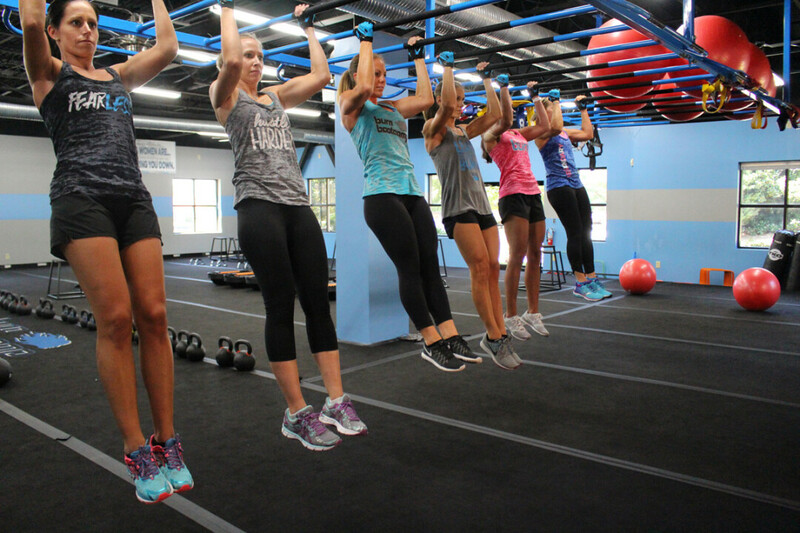 “We want to make women stronger, not only physically, but mentally, emotionally,” she said.